Add reading glass lenses to any eyeglasses. 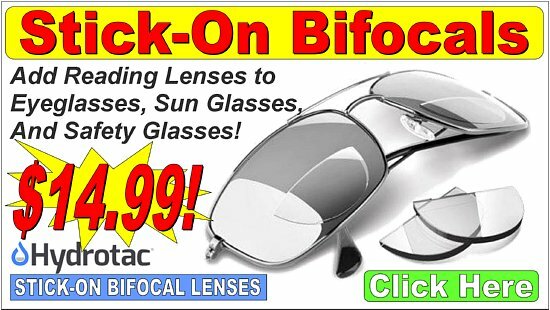 Makes Bifocals for Shooters, Reloaders, Fishermen, and Gunsmiths... Close Focus! 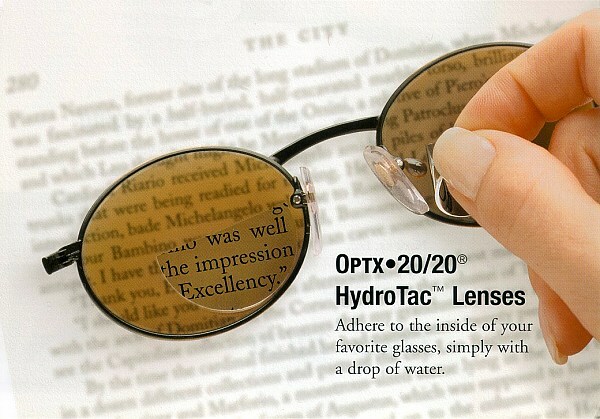 Add close focus reading lenses to your glasses and see clearly up close!... They look and work like bifocals for a lot less money. And, you can even customize them to suit your special close focus needs perfectly! 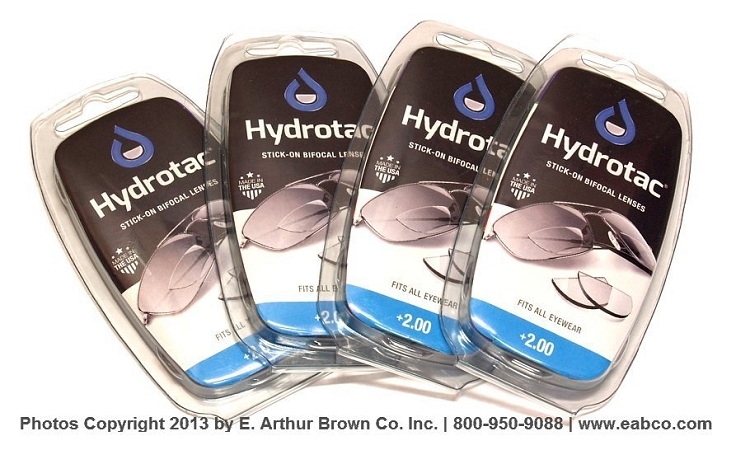 Just add water and these soft, flexible lenses stick to eyeglasses, sunglasses, shooting glasses, safety glasses,... you name it! They're easily removable without damaging your eyeglass lenses. And you can position them wherever you want... even trim them to a special size or shape. Available in the following power...1.25, 1.50, 1.75, 2.00, 2.50 and 3.00. Here's How To Order: Take our Do-It-Yourself Eye Test or use the power level of your reading glasses if you know it. They really work great. Made my simple safety glasses my go to glasses. I will buy again. They are perfect and a really great product. I can have them on my sunglasses see the numbers on the flight controls and radio in the plane. I can also have them on my shooting glasses so I can see the site. convenience and affordability. Anytime you buy sunglasses with readers in them it makes the cost go way up. These stick-on-bifocals are great. Customize your already expensive sunglasses with these affordable and reliable bifocals. Easy installation and reliable functionality! I use the bifocals in a clear set of glasses and they are awesome when sitting at the computer,or shopping as I don't need to keep putting on and taking off a pair of readers. THANK YOU !!!!! These are my 2nd and 3rd sets of stick-ons. They work really well. I using them in my safety glasses so I can have eye protections and still be able to see fine details. The stick on bifocal lenses work great. Fast delivery at a fair price, can't ask for more. I bought these for my wife and she loves them.She has many pairs of designer sunglasses and now we turned them into reader sunglasses. Great product. I was able to trim to size to perfectly fit my motorcycle goggles. I know know how fast I'm going. I ordered 3 sets & I'll be ordering more for my other sunglasses, as well. Thanks for speedy delivery, as well. This is a very good product an I highly recommend it. These stick on lenses worked great for what I needed, which was for a couple of weeks before I had eye surgery. The only reason I didn't give this item five stars, was because the instructions were not the best. Great product! Lifesaver, I can now drive and see the dashboard and center console. Fishing is less of a hassle, don't have to switch glasses. Thank you! I bought 2 pairs and I am very happy with the price, the quality and the speed in which the order was delivered. I wear contacts. 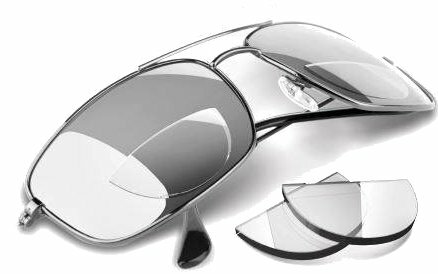 These are the perfect solution to add to sunglasses for driving. Instruments can be seen without having to wear reading glasses with the sunglasses. The stick-on bifocals are great! Very easily applied and work like a charm. They are large, but that is actually a plus because they can be trimmed and, depending on where you want them, the trimmings can be used also. The only drawback is the price. I got them on sale, otherwise I would not have purchased. I find them a little expensive. These lenses are a great help for me by allowing the clear view of my rear sight adjustments during competition. I cut a small piece of lens and adhered it via silicone adhesive to my shooting glasses. While in the prone position I can now read, instead of guess at, my sight settings while in position. Purchased two sets, will invariably purchase more!